Primavera superläcker hjälm från NZI av Hess Design. 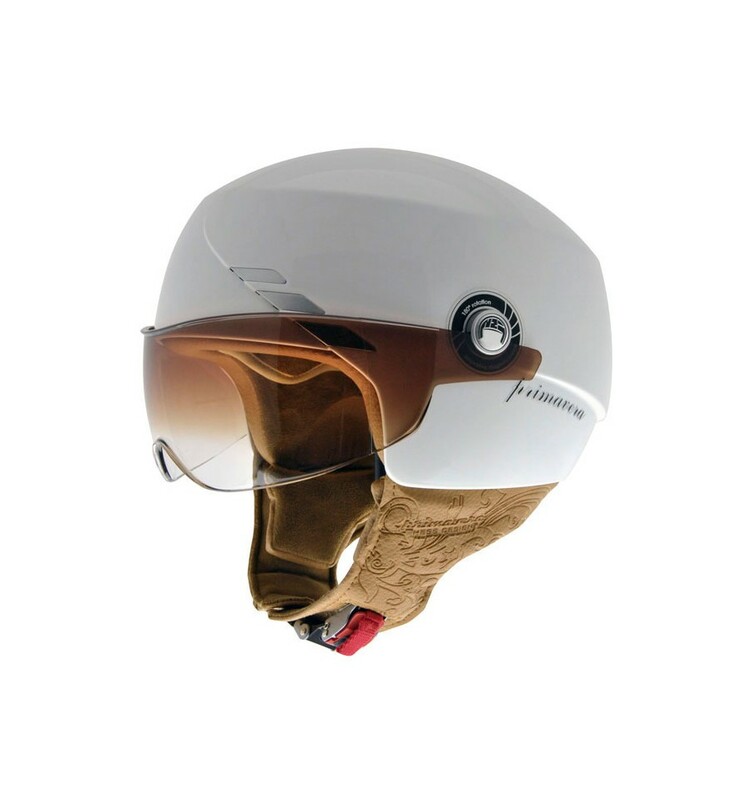 The Primavera helmet revives a legendary past and celebrates the birth of a new brand; NZI Helmets by Hess Design. 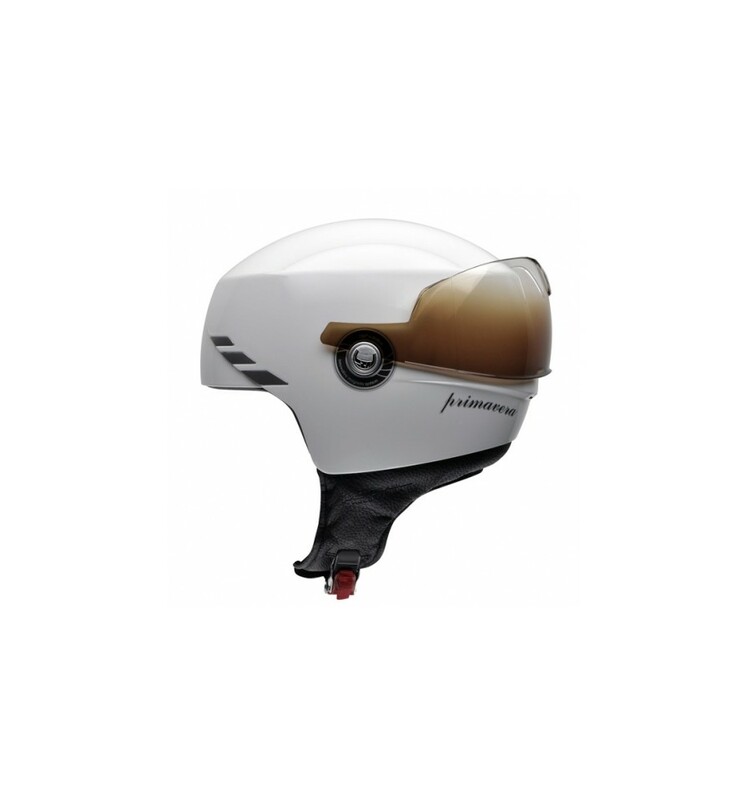 The design and functionality of the helmet call upon and refer to the famous Vespa 50 Special, the style icon of the ’70s. The minimalistic estethics of the Primavera remind us of the mythical design of the ’70s Vespas. Sporty, dynamic and elegant, these are the most important characteristics of the Primavera. Clearly defined lines, reduced to the essence of its character and style. 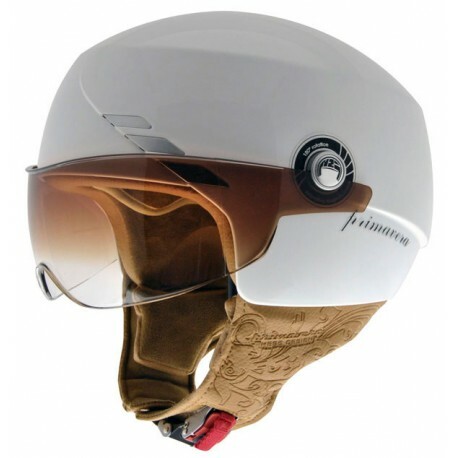 The 180 degrees rotatable visor denotes the spirit of the helmet. 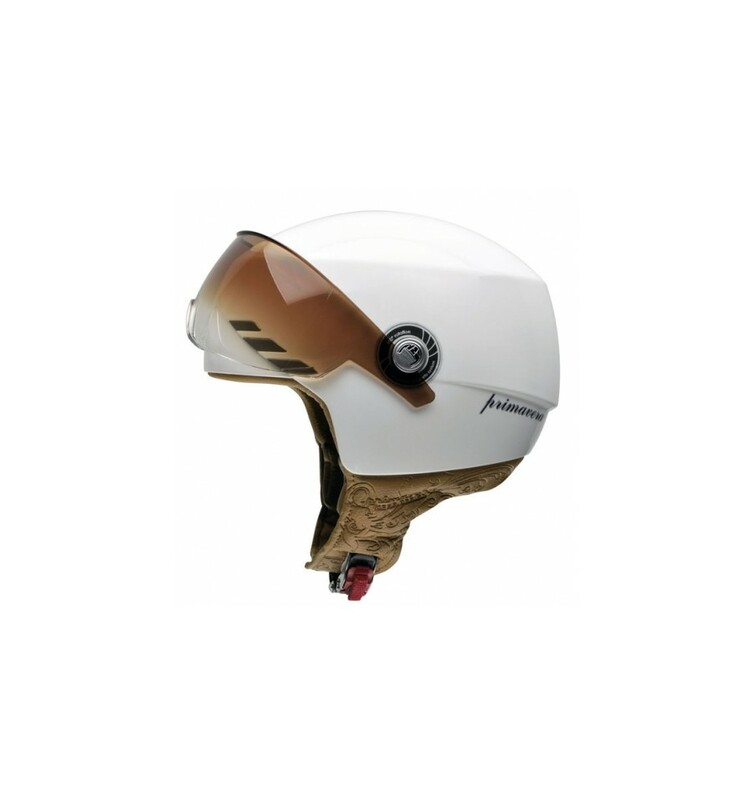 Different types of visors, in form and colour, can be put on the helmet without any tool, thanks to its patented mechnatic visor mechanism.